We’ve never met a German hotel coffee we didn’t like – and Cafes That Are Not Franchises has researched this very thoroughly indeed: all the way from the Dutch border in the west to Poland in the east, and from the Baltic coast of northern Germany to the Bavarian alps in the South. Hotel coffee usually comes in a traditional pot, occasionally a thermos jug, and invariably manages to be rich, strong and smooth: the perfect accompaniment to those fantastic breakfast buffets of assorted cereals, yoghurt, fruit, bread rolls, cheeses and meats. Quite how they can get it so right all the tie is a mystery. Maybe it’s something to do with that German habit of making really good stuff using quality raw materials. German cafes aren’t bad either. The Germans really enjoy their coffee, all the more so when accompanied by a decent slice of cake. And they don’t seem to have fallen for the idea that asking your customers to queue at the counter for a paper cup and packaged slice of industrially produced cakes makes you a cafe, either. They do have Stehcafe (literally standing cafes), usually in bakeries, where you stand at a tall table. 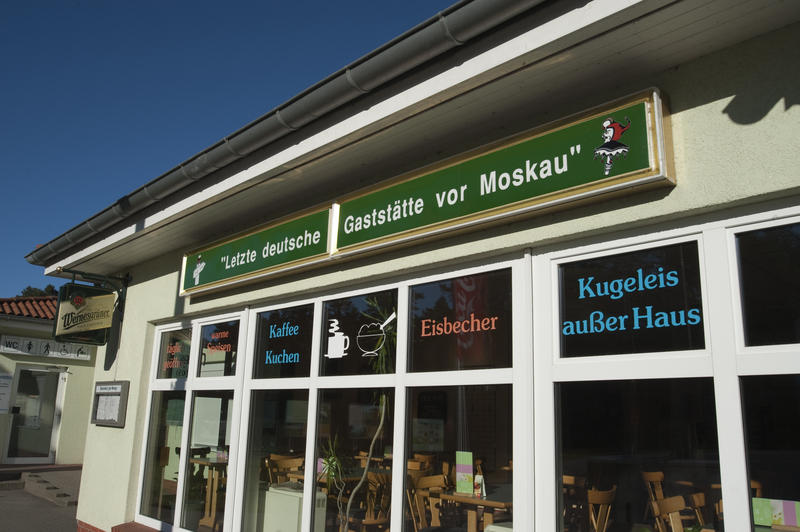 Germany has its fair share of home-grown cafe franchises, but they don’t pretend “it’s all about the coffee” and they usually have a great range of breads, pastries and cakes – almost none of which are smothered in unnecessary packaging – unless you take them away in which case they get popped in a bag. The hospitality industry is no doubt helped by the the fact that retired Germans have the best pensions in the world – and complain when things aren’t up to scratch. One of the hazards if you are walking on the northern coast is being mown down by a party of friends cycling to the next slice of plum flan. They don’t move especially quickly, but those sit up and beg bikes weigh a ton. The wonderfully 1920s Café Marienhöhe on the seafront at Norderney in the German East Frisian Islands – Riddle of the Sands country. Perfect for ice cream and coffee. Or if the North Sea is misbehaving, hot chocolate with the full whipped cream treatment. 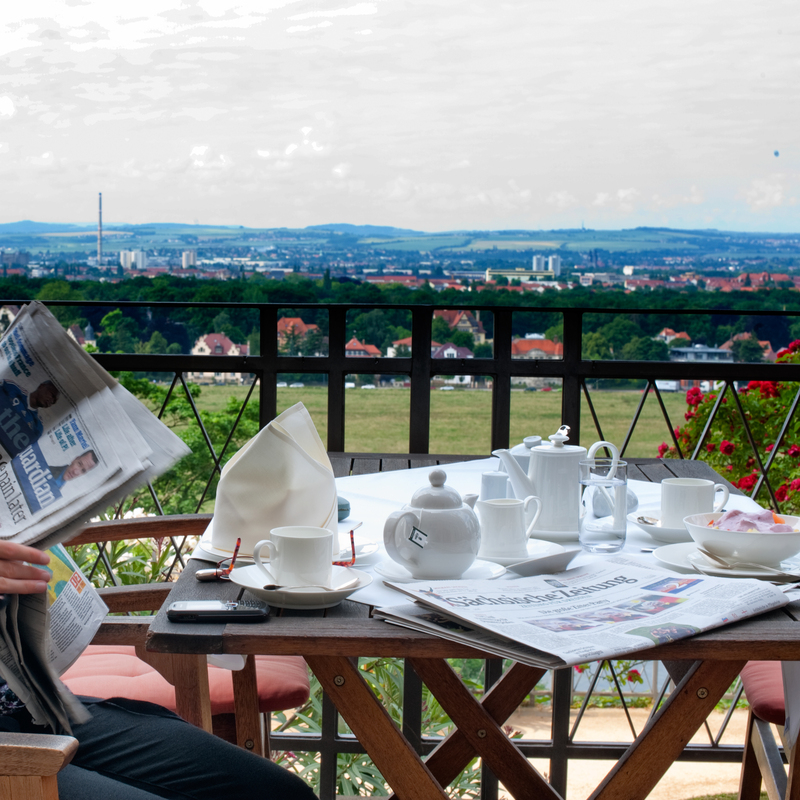 Not strictly a cafe: But the breakfast balcony at Hotel Schloss Eckberg, Dresden has wonderful views over the river Elbe. Cafe Einstein, Berlin. A Viennese-style coffee house in one of the few buildings in the Kurfürstenstraße to survive allied bombing intact. Great for breakfast. Museum cafes are destinations in themselves. The table service and bohemian atmosphere of Munich’s Statsmuseum make it the perfect place for lunch, or just a chat over coffee and a rather excellent cake, even if you haven’t been to the exhibitions (but do go to the museum shop if you are in the market for kitch-yet-ironcally-cool gifts). It’s a similar story at the recently re-opened and rather spectacular Lenbachhaus, home to a fantastic collection of paintings from Kandinsky and Münter‘s Blue Rider group as well as more traditional Bavarian landscape art and a modern art collection. The rather upmarket cafe (you won’t feel awkward wearing fur) has a full lunch menu, coffee and cakes, as well as a full drinks list. Which is just as well. You’ll need to stop for meal and again for a caffein fix and sugar hit , if you want to take in the whole collection in a single visit. 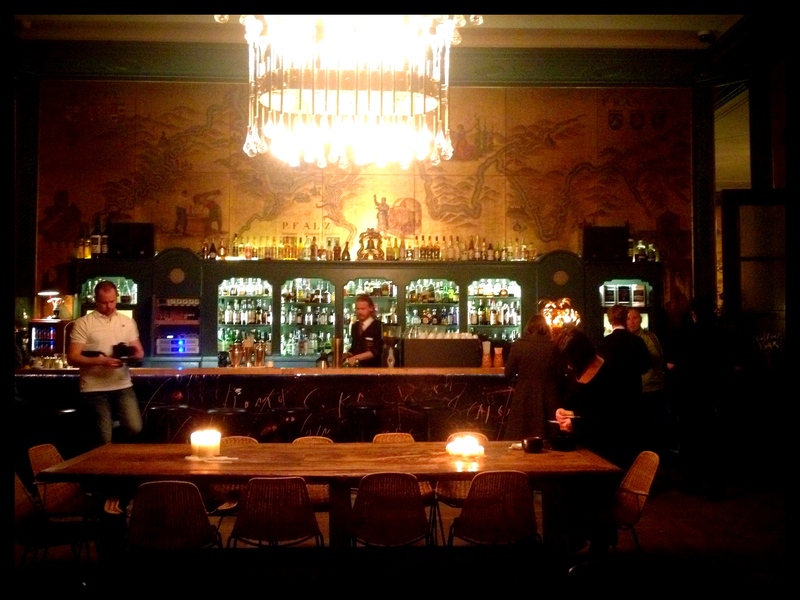 Over at the Haus der Kunst, the Goldenen Bar is open until 2am. By day it serves food, by night it’s a hip DJ bar. We like it because it is just sooooooo very golden. And finally. Dallmayer, the upmarket Munich food store. Worth a visit just to wonder at the concept of a society that can support such a huge range of things in aspic jelly. It has a cafe – the sort of place you’d take your mum to prove you were grown up, but we go there to stock up on the famous Prodomo coffee.